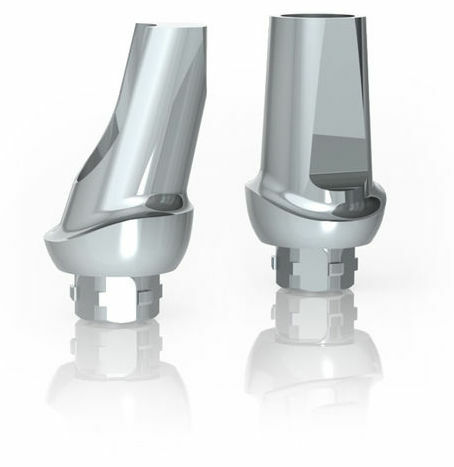 Neoss® Prepable Titanium Abutments are available straight and with a 15° angulation with varying collar heights and anatomical shapes. They are designed to complement the anatomical emergence profiles of the Neoss® Esthetiline Solution. 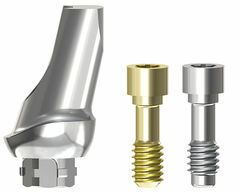 Titanium Prepable Abutments may be used for either single or multiple cement retained restorations. 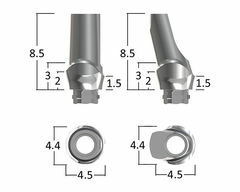 Titanium Prepable abutments may be placed directly into the patient’s mouth and prepared intra-orally or adjusted by the technician on a laboratory model. 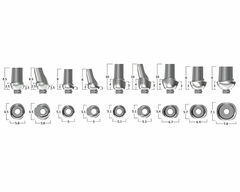 They are also available with emergence profiles for wide and narrow abutment solutions. Cement-retained single and multi-unit restorations. 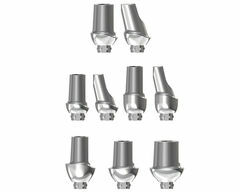 Neoss® Prepable Titanium Abutments are available in a range of anatomical shapes for all positions. 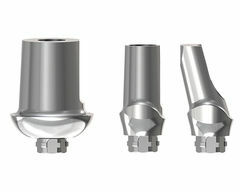 They are also available with alternative emergence profiles for wide and narrow abutment solutions. Commercially Pure Titanium Grade 4. Note: The Wide Emergence Abutment is delivered sterile and includes abutment, Laboratory Screw, Neoss® Crystaloc™ Abutment Screw, specific cover screw and specific healing abutment PEEK with screw. 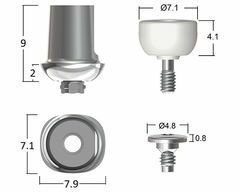 The cover screw and the healing abutment with screw are packed so they can be opened separately from abutment and laboratory screw. Currently the Wide Emergence Abutment can only be seated on ProActive® Tapered Implants Ø5.0-5.5 and ProActive® Implant Ø6.0. The Protection replica is required for model making and laboratory preparation.